UAlbany students can broaden their world view through more than 300 study-abroad programs. For UAlbany alumni Monte and Avery Lipman, music is more than just a hobby. It's a passion -- manifested in the brothers' life work as president and co-president of Universal Republic Records. It wasn't an easy road to become part of the music industry's elite, working with Grammy-award winning artists like Amy Winehouse. But it has certainly been an adventurous one. At UAlbany, both dabbled in the business side of music at UAlbany. As a junior, Monte became a member of the campus radio station WCDB and concert committee, where he booked shows and promoted major national artists, including The Who's Roger Daltrey. Meanwhile, Avery worked at the campus record co-op. Monte, '86, who received a bachelor's degree in communication and rhetoric, felt UAlbany was a great campus where he "made a lot of great friends," many of whom he still stays in touch with today. Avery, '88, who received a bachelor's degree in English, felt UAlbany had an air of motivation. "For me, I picked up on that right away." 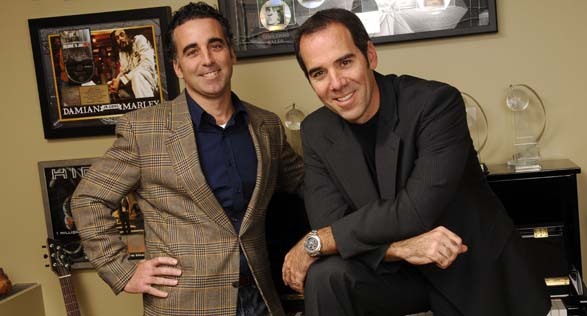 In the mid '90s, the Lipmans, of Montclair, N.J., decided to feed their passion by starting their own record label, Republic Records, in a family-owned apartment. In the kitchen, they created artwork for their records. In the living room, folding tables served as their mail room. Using a makeshift assembly line -- with tape, labels, packaging and weight scale -- they produced 1,000 CD mailings. For the brothers, it was a labor of love. It was also expensive, nearly leading them to financial ruin. Then, they received a phone call that saved their music industry careers. The largest radio station in the nation, K-Rock in L.A., picked up their record "Fire Water Burn" by the Bloodhound Gang, a synthpop band from Trappe, Pa., discovered by Avery. The brothers' next success was Chumbawamba, an Anarcho-punk English band known for their catchy song, "Tubthumping." After that, the Lipmans went from the kitchen table to an office. Eventually, they made arrangements to join record label powerhouse Universal Records. "It's been a dream come true. I remember working with Prince on 3121 and thinking back to when I was a fan of his at UAlbany. When you put it into perspective and really look at how far we've come, it's really cool," said Monte. The Lipmans will be among other successful alumni honored at UAlbany's Third Annual Reaching Higher, Achieving More Luncheon at 12:30 p.m. on Oct. 24 in the Campus Center Ballroom. For some, nanotechnology is known by its applications in nanoelectronics. 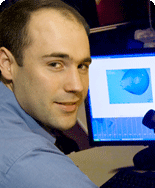 College of Nanoscale Science and Engineering professor Dr. Nathaniel Cady is using nanotechnology to address human diseases.